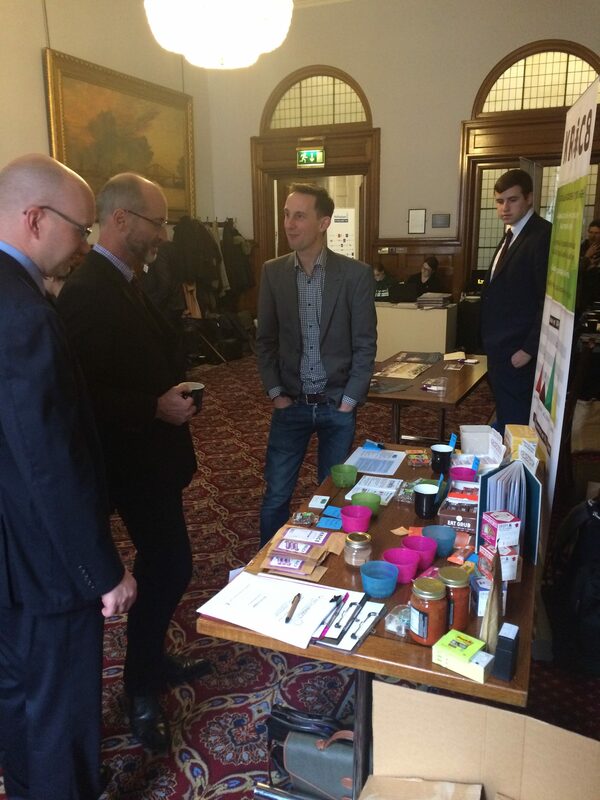 Representing Edible Insects in Parliament – Woven Network C.I.C. 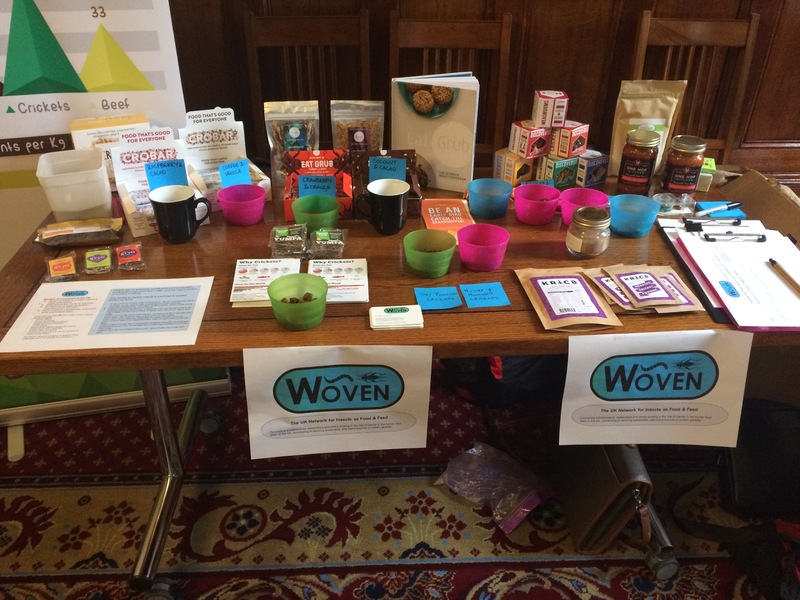 As part of Nottingham Day in Parliament on 25 October, a team from Woven Network travelled to Westminster to represent and promote edible insects in the Houses of Parliament. 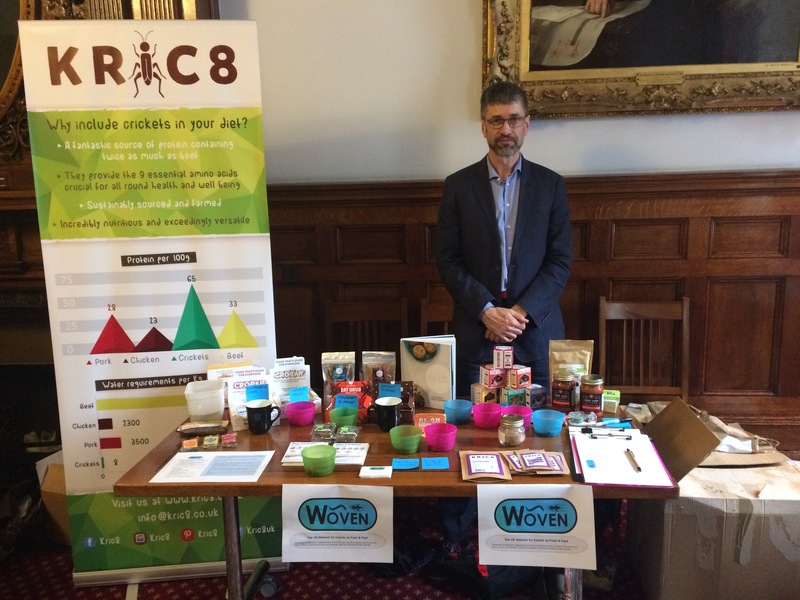 Woven Managing Director Nick Rousseau (Unconventional Connections) and Woven members Tony Askins (Next Step Foods) and Ross Bell (Kric8) were on hand to promote members’ products and the exciting potential of our growing UK-based edible insect industry. Speaking to a representative of the Food Standards Agency, Tony received the impression that Brexit has “the potential to facilitate a smoother progression through the novel food process”, as any decisions and requirements of the FSA will presumably not have to be ratified by other EU members or the EFSA (European Food Safety Authority). He was also informed that the Conservative government “could be good for the industry, as they are pro-entrepreneurship and less keen on regulations that might get in the way of business”. We turned up at the “Green Room” which was on the other side of the square opposite the Houses of Parliament and set out our stall. It was very impressive and the largest selection of insect-based food products I had certainly ever seen – possibly the largest in the UK. We had everything from whole insects, flour, insect flavoured snacks, bars (with pieces to taste), pasta and pasta sauce as well as the Eat Grub recipe book and various bits of literature. We all went over for the talk and discussion about the future of food in one of the rooms in Parliament, giving us a chance to see what it is like on the inside. Very grand! 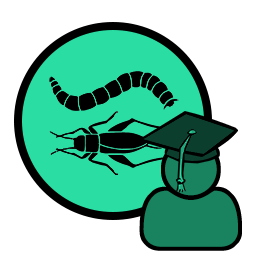 As a result of my lobbying, one of the University lecturers talked about insects and the potential role they could play, which I was able to pick up on along with a number of others in the Q&A. Certainly some interest and I emphasised that there are plenty of successful products already on the market. I had two conversations following the talk with the Chair of the Agriculture and Horticulture Development Board (levy organisation) and Sat Bains the chef – who agreed to talk to me later about experimenting with insects in his restaurant. Coffee and Vanilla, Dark Chocolate – both tasted okay, but in my mind I can’t get over the yuck factor, sorry! Kric8 – dry roasted crickets. Tastier than I expected! I like the texture! Crunchy insects are great especially crickets –delicious! Very tasty – liked the honey and mustard – get them in the high Street! If only more people had an opportunity to try these innovative products – Excellent. Why not book a stall at Sutton Bonnington Farmers Market at UoN SB Campus? 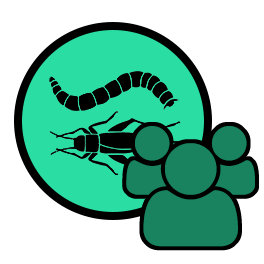 Woven Network plan to be involved with similar events in the future, and will be promoting insects as food and feed at Food Matters Live 22-24 November. Interested in joining Woven Network? Click here for full details of our membership packages. 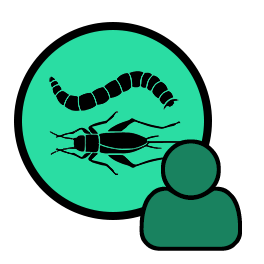 And if you’re interested in trying some tasty insect snacks, visit our Marketplace to order your roasted crickets, energy bars, protein powders and more!